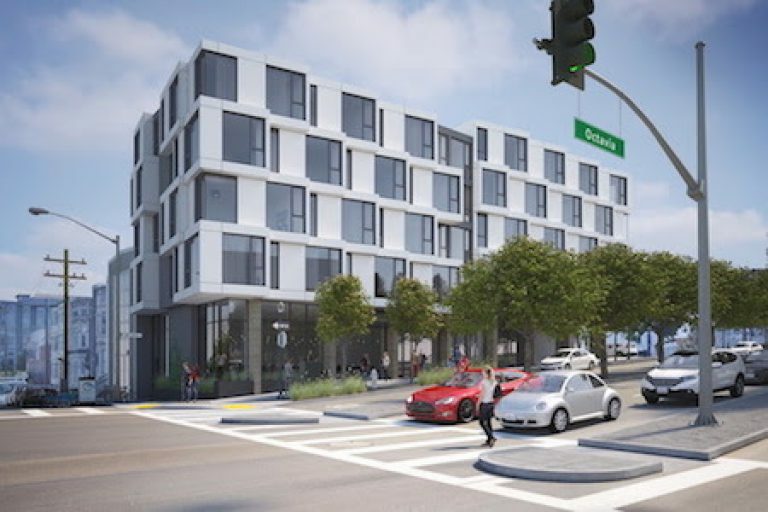 Parcel T, the latest addition to DDG and DM Development’s collection of distinctive mixed-use developments in Hayes Valley, sets 27 residential units over two commercial spaces and is crafted to engage and enhance the neighborhood. To expand the range of housing opportunities in the neighborhood, Parcel T’s efficiently planned apartments are beautiful and affordable by design. Each of the four residential floors comprise a mix of studio, one-bedroom and two-bedroom, with 15 percent below market rate. A top, a landscaped roof garden completes the experience. The two ground-level commercial spaces are sized to support local businesses that enhance the neighborhood’s unique retail offering and create a “living room” for the community. Designed for contemporary urban living, Parcel T provides ample bicycle parking rather than car parking.